If you have a blog or website then you need to give your email ID in contact page so that people can contact you but it not always that people only see those email IDs even SPAM bots also see. Spambots are those bots who crawl the web in search of email ID to mailing list. There are lots of SPAM bots out there on the web which crawls all over the web and search for email IDs, so that they can send SPAM email and most of them even sell those IDs to other people, so that others can also send. Now to protect your email IDs from Spambots you can use reCAPTCHA Mailhide. reCAPTCHA is a free service developed by Carnegie Mellon University and later on Google acquired it. reCAPTCHA Mailhide lets you protect your email address from SPAM bots. Here’s how it works, first you create your MailHide link from their website then add that link into your contact page, now when someone will go to your contact page and will click on that link they will be asked to solve two words captcha, to know your email address and those captcha is for human verification and it can’t be read by bots. When you are typing the captcha reCAPTCHA on Facebook, Twitter, Google and even on this blog, you are reading and solving many years old books at the same time. OCR (Optical character reader) can’t read texts which are old, faded and distorted. So to preserve text from those books humans have to manually type them into computer. 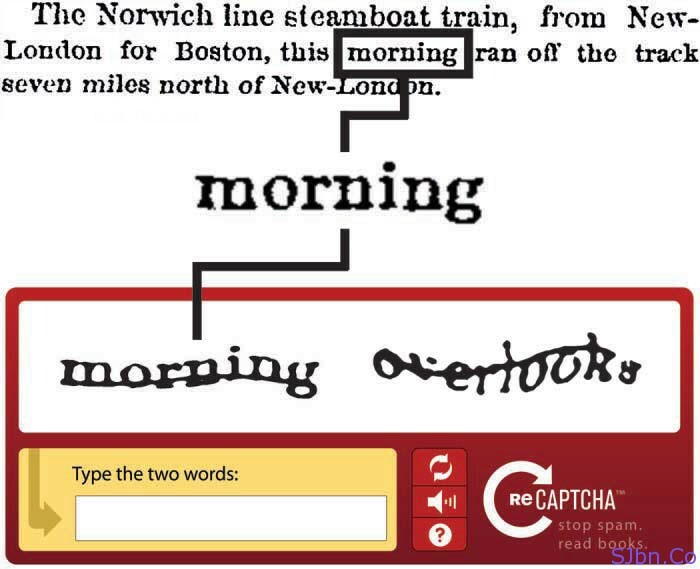 So reCAPTCHA send one word which can be read by computer and another word from the old books which is digitize. So now when you type the word which can read by computer correctly and another word most probably will be also correct. Each word checked 10 times via captcha to ensure the correct word.